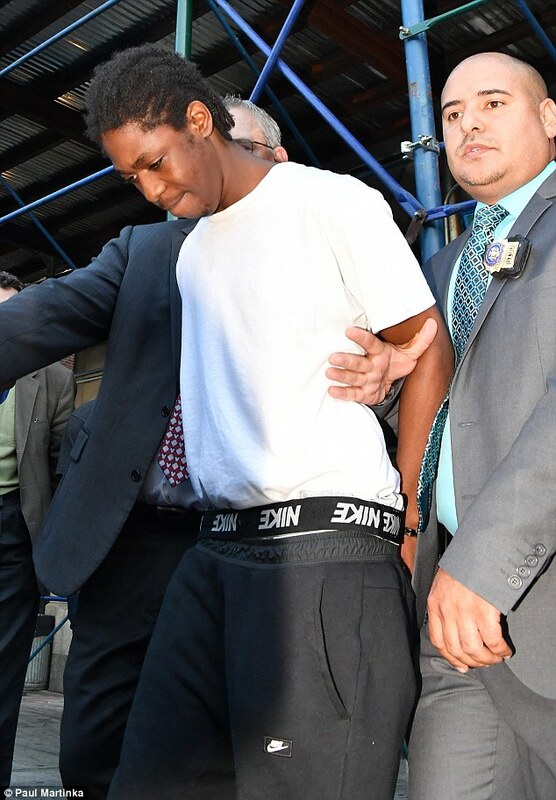 A 20-year-old Brooklyn man accused of fatally shooting a young woman during Brooklyn’s J’Ouvert festival says he has no recollection of what happened because he was too drunk. Reginald Moise has been charged with second-degree murder in the killing of 22-year-old college student Tiarah Poyau, who was shot through the eye at close range on Monday after reportedly telling a man to get away from her. Moise, who is alleged to have made a statement implicating himself in the killing to other people, was arraigned on Wednesday on the murder charge and on counts of criminal possession of a weapon and reckless endangerment. The jailed suspect said the only thing he remembers from the annual Caribbean celebration is ‘drinking and dancing,’ and then firing two rounds inside a cousin’s apartment in Crown Heights. ‘I think of that night, and I just don’t see me shooting her,’ Moise said of Poyau, adding that he wishes he could meet her when she was alive. Moise told the paper that he now fears for his own safety behind bars, and he is concerned that the victim’s male relatives will seek retribution by going after his family. 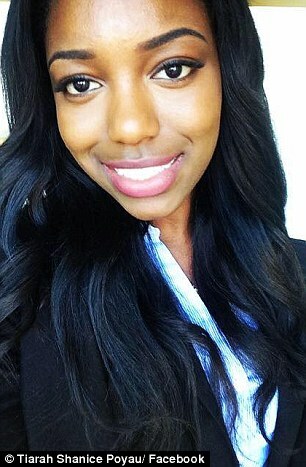 Tiarah Poyau had been walking with three friends early Monday morning when she was shot in the eye ‘at close range’ around 4.15am, according to the New York Post. Authorities said Moise was driving drunk and had a Caribbean flag wrapped around a bloodied hand when he was arrested on Tuesday morning. He then told another friend: ‘I think I shot somebody on the parade route. I didn’t know the gun was loaded,’ according to police sources. Moise allegedly fled to his girlfriend’s apartment following the shooting. It was there he drunkenly fired two shots into a mirror, which caused the injury to his hand. One of the bullets entered the home of a neighbor, who then notified authorities. 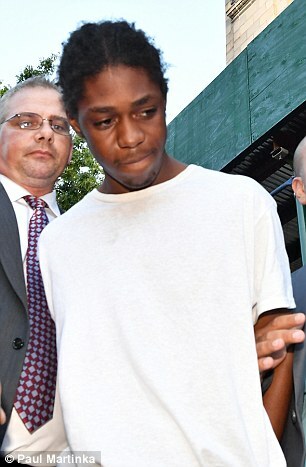 That neighbor, 30-year-old Nadir Bryan, 30, told the New York Post on Thursday that the bullet allegedly fired by Moise came within a few inches of her sleeping son’s crib. Moise then fled into his car and crashed into several parked vehicles, losing one of his tires, before he was stopped by police around 8am on Tuesday. Police said they discovered the gun that killed Poyau at Moise’s girlfriend’s apartment, with tests confirming it matched to a shell found at the murder site. Meanwhile, no arrests have been made in the murder of 17-year-old Tyreke Borel. 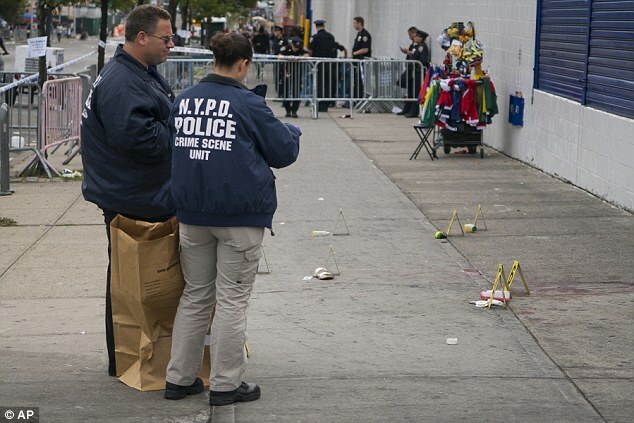 Borel, of the Bronx, was shot in the chest about 3:50am near Empire Boulevard and Flatbush Avenue during the festival. Poyau was shot just a block away 30 minutes after Borel was shot, police said. She died at the hospital. The aspiring accountant and was interning at top-five firm PwC in New York and getting her Master’s of Science at St John’s University, according to her LinkedIn profile. 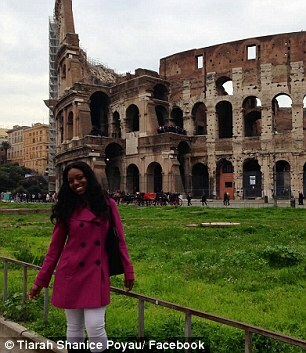 Online, Poyau talked about her drive to become an accomplished professional — as well as her passion for traveling. This year, the J’Ouvert parade cemented its reputation for violence and bloodshed. The shootings came amid unprecedented precautions taken by police to ensure safety a year after Governor Andrew Cuomo’s aide was killed by a stray bullet at the early-morning celebration. In a news conference on Monday, New York City Mayor Bill de Blasio said that ‘all options are on the table’ when answering questions concerning the future of J’Ouvert and if it might be canceled following the two tragic deaths, the New York Post reported. ‘I’m not going to go into detail until we do a full review,’ he said. ‘We’re going to look at the whole situation with the NYPD and community,’ de Blasio added. City Councilman Brad Lander said that it’s ‘pretty clear that big changes are needed’. ‘I’m open to canceling it next year,’ he added. Police say they’re investigating whether the shootings are related. No arrests have been made on Borel’s shooting. A 23-year-old woman was also stabbed in the area, but police said she refused medical attention. A 72-year-old woman was shot in the hand and the arm at the same location and was taken to a hospital in stable condition, police said. 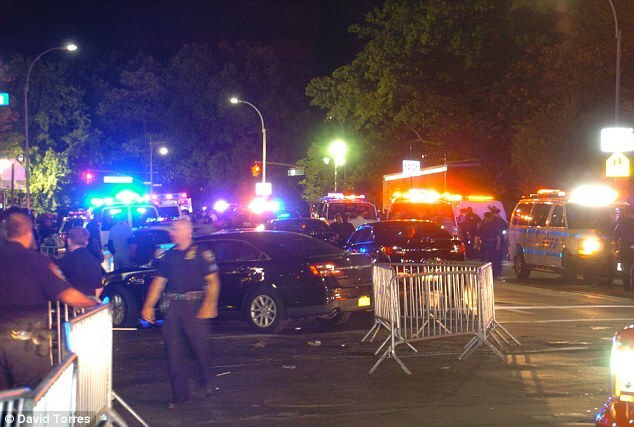 The NYPD had planned to double the number of officers patrolling the neighborhood where a procession of steel drums and costumed revelers was set to kick off at 4am for J’Ouvert. The department also added 42 new security cameras to watch over an estimated 250,000 revelers and illuminated this year’s celebration with 200 light towers. For the first time, organizers of the parade were required to get a permit. Police, in conjunction with community groups, also distributed fliers with a blunt message. ‘This community will no longer tolerate this violence. Do not shoot anyone. Do not stab anyone,’ the leaflets said. The changes come a year after Cuomo’s aide Carey Gabay, 43, was shot in the head as two street gangs exchanged gunshots during J’Ouvert festivities. He was immediately placed in a medically induced coma but eight days after the shooting, doctors declared him brain dead.